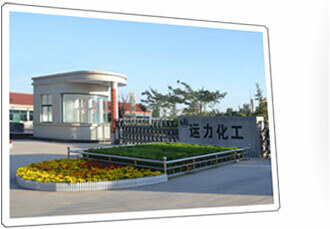 XiaXian Yunli Chemical Co.,ltd was found in May 2005,a professional technological and production enterprise that mainly engaged in chemical research, development, production of chemicals. It has passed the ISO9001 quality management system certification. Aluminium nitrate, Magnesium Nitrate and other products have been pre-registered Reach. XiaXian Yunli Chemical Co.,ltd belong to Taiyuan Xinli Chemicals Co.,ltd(parent corporation).The parent coporation had under it four organizations for ShanXi BeiNuo Chemicals technology research Co. ,ltd, XiaXian Yunli chemical Co.,ltd, ShangHai Sell Branch and Guangzhou Sell Branch. There are 860 employees, including 15 senior engineers,20 engineers, 5 doctors and 9 masters. The company's total production value is 2 hundreds million. XiaXian Yunli Chemical Co., ltd's main products are sugar alcohol hydrogenation catalyst, Chromium Salts and series of nitrate product. 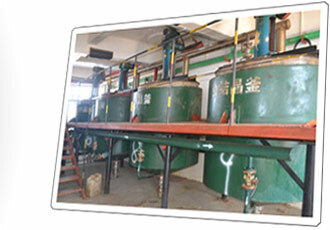 At present, the company can produce 5,000 mts of chromium salts and 50,000 mts of Nitrate salts yearly. Both quantity and quality can be reached to requirement. The company has always been based on the tenet of enterprise performance for the first, self-enrich, unity and harmony, aspiring to reasonable", the business concepts that "make market the precursor, rely on technology to seek development", and the spirit of enterprise "strive continuously to make new progress, development and innovation, advance with the times, in search of excellence". With its outstanding technology products and services strengths in catalysts, chemical fertilizer, metal plating and surface treatment, the system dewatering dilute nitric acid concentrated nitric acid, chromium salt, furfural Furan Resin, petrochemical and other chemical industry The quality of chromium salts, series of nitrates occupy a vast domestic and foreign markets, and subject to a wide range of users' trust and praise.